WHAT IS THE PERFECT LBD???? SINCE IT’S SUPPOSE TO BE “PERFECT“, DOES THAT MEAN WE ONLY NEED TO HAVE ONE??? LBD is short for Little Black Dress. 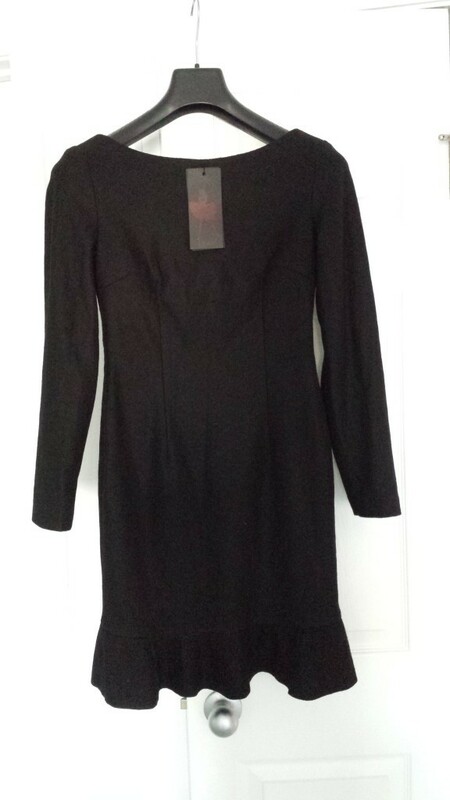 The LBD is one of my recommended “must haves” for every fashionista/womans closet. You may be wondering, what makes a little black dress the “perfect one” AND how much should this “perfect” LBD cost you? In other words, NOOO you don’t have to have just one and YES there is definitely more than one “perfect” LBD for each of us! I passed it and passed it and passed it, but something about the fabric and the neck line was very appealing. I decided to take my own advice to just try the darn thing on! To my pleasant surprise, I was blown away by the cute style, incredible fabric, flattering fit and then….THE PRICE!!!! Holy Canoly!! 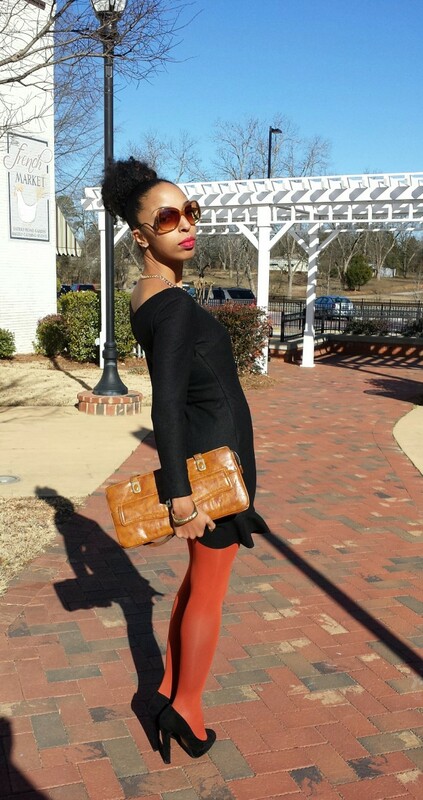 I accessorized my LBD this time with a vintage leather purse, a gold bangle and necklace. 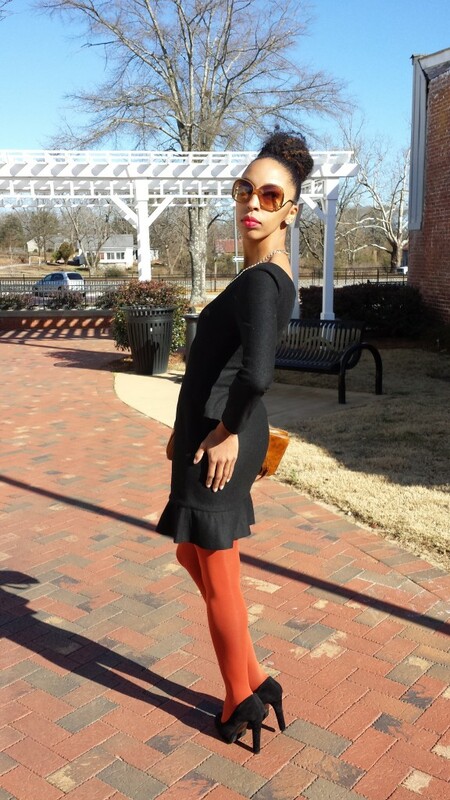 I added some spice to my ensemble with burnt orange tights and black suede pumps. I did a topknot to accentuate the neckline and topped it off with a bold red-orange lipstick. OK, I know you’re thinking…there’s no way SHAYZON is going to leave us hanging on the price! LOL… Of course not!!! It was……… $8.00!! I kid you not!! 2) When selecting an LBD, keep the type/s of occasions in mind that you are purchasing it for. You most certainly don’t have to break the bank to have “THE PERFECT LBD“.